Being one of the trusted firms in the industry, we are highly engaged in providing a unique range of Power Plant Dome Seal. We offer inflatable silicon, neoprene & food quality rubber seal with reinforcement for butterfly valve and inflatable seal insert for dome valve, diaphragram type non return valve (NRV) and others. These are used in dense phase or pressure pneumatic conveying for fly ash handling system in coal fired boilers in power plant. 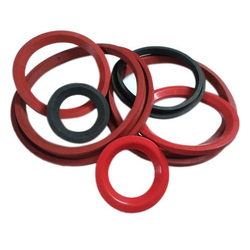 We bring forth for our clients, a precision engineered range of insert seals that is available in varied types, depending upon the application. We also undertake customization of this range as per the specific requirements of our clients. These inflatable seals are available in white food quality seal and are highly suitable for high temperature and other hostile applications. Diaphragms of various sizes and in different shapes with/without reinforcements in polymers viz. Natural, Neoprene, EPDM, Silicone and Viton rubber. 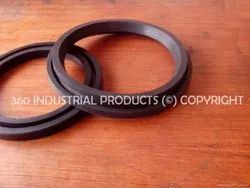 We bring forth for our clients, a precision engineered range of insert seals that is available in varied types, depending upon the application. These inflatable seals are available in white food quality seal and are highly suitable for high temperature and other hostile applications. We also undertake customization of this range as per the specific requirements of our clients.